By 2017, the internet was home to more than 1.7 billion websites. Among this incomprehensible number, how can you ever hope to stand out and get noticed by consumers? Don’t despair. There are several factors that can impact your website’s success. One of those factors is the design of your site. Website design evolves all the time, but keeping up with the latest web design trends can help you bring in visitors. In this article, we’ll cover 10 of the hottest design trends that you can implement on your website this year. Keep reading to learn more about how to entice users to stay on site and even convert into customers. Web design ideas encompass a seemingly unlimited number of elements. We’ve highlighted the top 10 here, but these are only a handful. It is important to stay up-to-date with the hottest design trends for your website and online marketing. Now, without further ado, we’re happy to present you with the 10 hottest web design trends 2018 has to offer. Since a well-designed site can positively impact both retention and purchases, you’ll want to try these out as soon as possible. Clean and sleek is the goal with a single page website design. Not only do they look great, but they’re awesome for user experiences. You want to allow users to access as much of your content as easily as possible. Presenting a single page design is a great way to do this. It doesn’t mean you can’t still have a blog, or that every post needs to be on this one page. Please don’t put every post on this one page. But, your about page, your services page, your contact page, etc… can all be presented on one URL. Bold text stands out and grabs visitors’ attention. 2018 trends include welcoming back serif fonts, so feel free to explore and have fun representing your brand with the largest ever web font capabilities. Remember the whole idea is to stand out. Combining colors in unexpected, yet pleasing, ways is a great way to grab the user’s eye and keep folks on site. Play around with color palettes, and see which ones excite the eye the most. Don’t be afraid to try something new, as novelty almost always makes an impression. Whether you opt for a hero image, a background video, or a cinemagraph (an image that has a small amount of animation), website backgrounds should be full-screen. This is a “Go big or go home” scenario. In the past, everyone wanted a flat web design. The reason for this is it looked modern and it loaded faster. However, with devices and connections speeding up, web design ideas are trending back toward depth. Or at least, they’re trending back toward a combination of flatness and depth. Add a drop shadow. Your visitors’ devices can handle it. Everyone touts the phrase coined by Bill Gates that content is king. Why? Because it is. It always has been, and it always will be. However, like all trends, content evolves with user needs and desires. What’s hot right now are web books. Take out the e-reader middle-man and stop putting your content into PDFs guarded by pay gateways. Publish your content in vibrant web books and your users will gobble it up. Please, please stop using popups. Everyone who visits sites on mobile devices–or even on desktops–hates them. If they subscribe to your email list because of a popup, it’s only to make you stop asking and they’ll probably unsubscribe–or worse, dump you in their spam folders–before long. Instead, use sticky (or floating) navigation menus. These menus can include on-site links, social networking buttons, and pretty much anything you can imagine. Popups are out, sticky nav is in. What can negative space do for the elements on your website? In addition to making the site look more modern overall, it can make your text and visual elements more important. When something is more important, it stands out. Since that’s the whole goal of updating your web design to incorporate the latest trends, add some negative space. 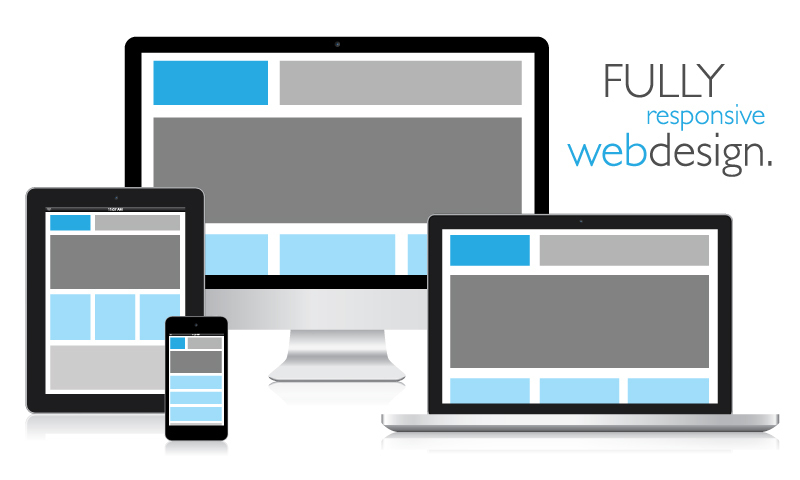 Your website will look more open, be easier to use on mobile devices, and be more inviting overall. There’s no reason not to. Even if you don’t have an in-house graphic designer, you can commission illustrations for your new website. This is one of the hottest trends right now, and to be on trend, you should aim for light-weight, line illustrations. Make them unique to your brand in order to build awareness with first-time visitors and help returning visitors convert. Mini animations are another huge trend we’ve seen in 2018. Why do people love them so much? Well, people love anything that’s visual, that catches the eye. Why have a shopping cart button that’s not animated when you can easily include a little animation of their object dropping into the shopping cart? It’s a nice touch and it tells users you care about their experience on your website. We know updating your entire site’s design can seem daunting. If you’ve got questions about these web design trends or other concerns, we’d love for you to drop us a line. Helping small businesses like yours get more online visitors and customers through savvy and on-trend design is one of our specialties.